Spheroids is a pixelated 2D platformer with non-pixelated round enemies called spheroids. These enemies come in a variety of sizes and types, but they all have the same goal: turn your world of flat edges into a world of round objects and curves. You control a boy named Lucas, who is tasked by his scientist friend, Otto, to destroy all of the spheroids while he works to find out where they came from and how to stop them once and for all. 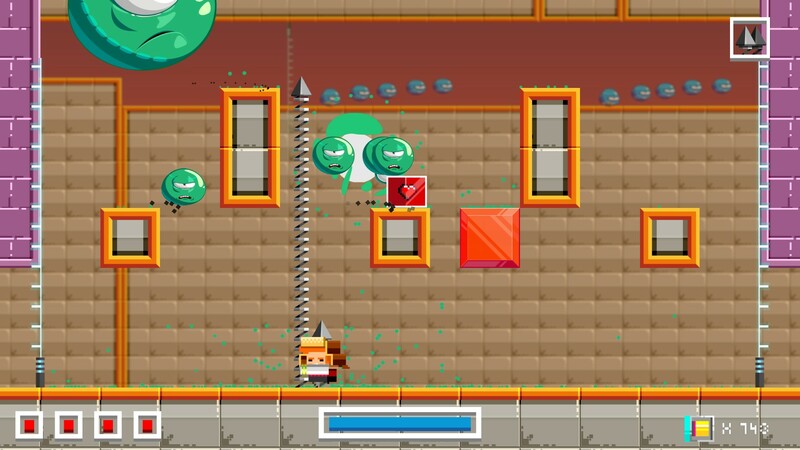 Using the “Modified Drilling Hook” you’re given, you run through 32 levels across eight different countries killing spheroids and swinging from grappling hooks to reach the end. There are accurate representations of each country with new enemies regularly introduced. At the beginning of each level is an arcade machine-styled shop where you can purchase upgrades and power-ups to aid you. This game is about timing your shots, your jumps and when you use power-ups. Ease of controls — The controls are simple and easily explained throughout the game. Moving left and right, jumping, shooting, grappling and using gravity boots all flow naturally and feel second nature after just a few uses. The grappling hook automatically locks-on to spots where it can be used, and the gravity boots can even help save you from situations they may not have been intended for. The levels are all relatively easy as is, but these controls and abilities make them even easier. 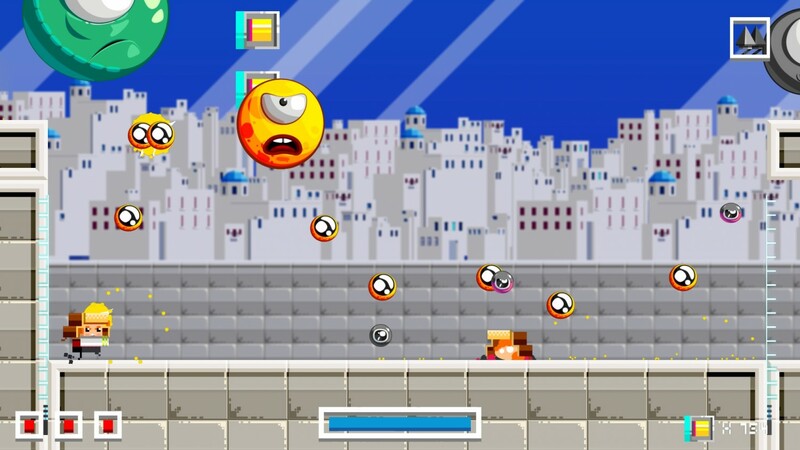 Enemy variety — There are so many types of spheroids to fight; easy red ones to start the game, ones that can combine to form bigger spheroids, fast ninja-like ones, indestructible ones and more. This wide variety allows for numerous combinations of enemies to overcome. Sometimes they will just be bouncing around directly in your path and other times they will present more of an obstacle. One notable combination was stationary spheroids lining the floor and ceiling while red ones bounced in place. The only way to pass without getting hurt was to time the grappling hook to swing between them. Who knew there could be so much variety in a sphere? Lack of challenge — As I mentioned, all the levels are relatively easy. There are no tough sections, especially with plenty of convenient checkpoints throughout levels right before things get a little less easy. Dying just sends you back to the most recent checkpoint with full health, so in situations where you only have one HP left it is almost strategic to die on purpose. Enemies you have killed stay that way even if you die and there are no significant penalties for dying. Even the achievements are easy, with most being for level completions and using the power-ups that appear naturally throughout the levels. All achievements can be completed in a little more than one playthrough, which can be done in just a few hours. Awkward cutscenes — While a captivating story isn’t an essential element for these types of games, it seemed like there wasn’t much effort or planning put into the story elements at all. The main objective is clear, but the dialogue in the cutscenes is rushed and awkward. There is no music, and almost no sounds effects, just speech bubbles, and a brief attempt to introduce new enemies. When the indestructible spheroid was introduced, it seemed to be foreshadowed that there would be a way later on to kill them – that never happened. 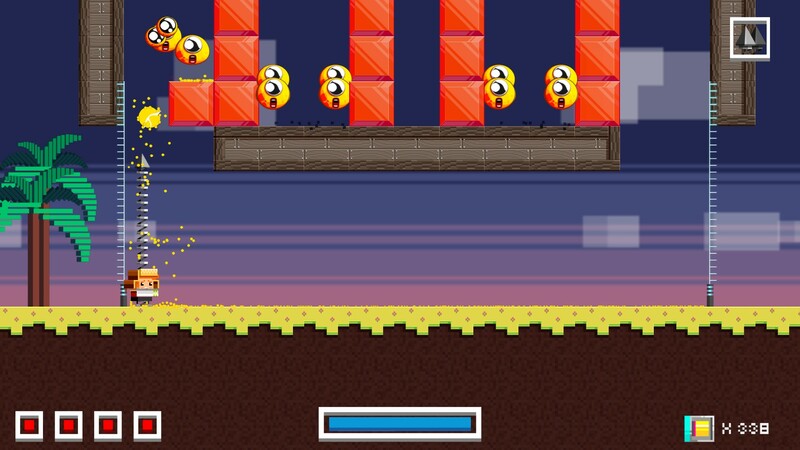 When ground-smashing spheroids were introduced, it was two levels after you already encountered them. It feels like the game was made and the cutscenes were added as an afterthought. 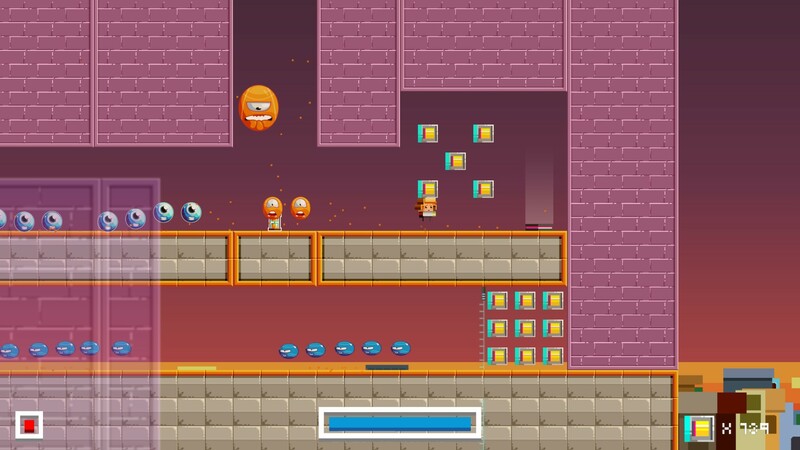 Spheroids can be addicting, but that means your time spent with it won’t last long. This type of game doesn’t rely on a well-written story; it relies on functionality and an enjoyable endeavor. It has met the basic requirements for success but is not going to appeal to everyone. Like the bouncing spheroids, this game has its ups and downs. If you are looking for a quick game with a simple charm and a clear objective, this is it. If you’re looking for hidden secrets and a challenge, you should probably pass. Spheroids was developed and published by Eclipse Games S.C. on Xbox One. It released on February 9, 2017 for $7.99. A copy was provided for review purposes.